When Calgary Counselling Centre began in 1962, we occupied the basement of the Calgary Central United Church. Initially established to answer the community’s call for mental health support, almost 55 years later, we never could have imagined that one day we would be serving a community with a population of 1.4 million, nearly five times the size of when we opened. But what remains the same is that our community needs support when dealing with mental health challenges. As the economic downturn in our city surpassed the two-year mark, we continued to monitor and respond to the levels of distress in those around us. As more than 90,000 people lost their jobs in Calgary and many more were faced with uncertainties, stress, and anxiety due to the recession, we saw a 10% increase in the number of counselling sessions, meaning the elevated distress clients were experiencing required more than the average of 8-10 sessions of treatment. As we look to 2017 and beyond, we’re committed helping more people than ever before. Moving to our new space at the Kahanoff Centre was another step in ensuring we can serve the needs of the community. 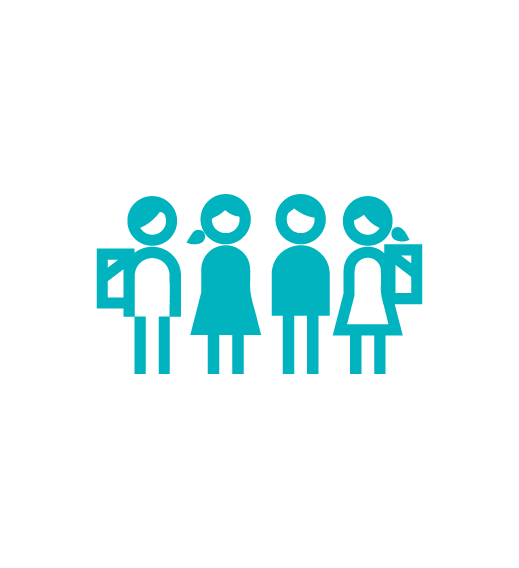 We’re committed to changing with the times, working to understand the needs of individuals, families and the overall community so that we can provide the mental health services our clients need. According to the latest census data, Calgary has had the highest growth rate of any metropolitan area in Canada over the past five years, despite being in the throes of an economic downturn. While the population, skyline, and price of oil may change, one thing remains the same. At Calgary Counselling Centre our role is to be a constant and reliable source of support, delivering the highest quality of counselling to achieve the best results for our clients. We’ve been there for our city during tough times before, and we will continue to be there moving forward. That is our commitment. As I entered the second year in my position as Board Chair, it was unclear whether 2016 would be a continued recession or enter recovery. 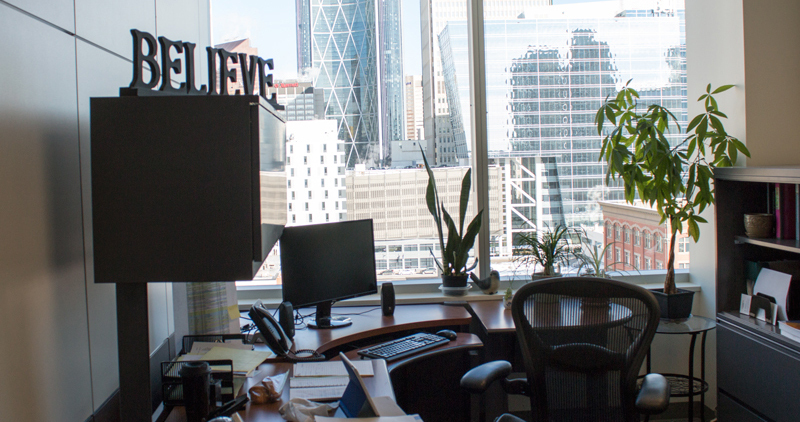 While we couldn’t predict the ebbs and flows of the economy, there was one thing we could predict – that the demand for services from Calgary Counselling Centre would continue. The increased number of requests for service spoke volumes. Calgary Counselling Centre’s move to the Kahanoff Centre in September of 2016 came when our city needed it most. I was proud to be a part of an initiative that allows for the expansion of mental health services and the ability to provide support to more people than ever before. I know I speak for the entire board when I acknowledge the hard work and dedication that the entire team at Calgary Counselling Centre continues to demonstrate. Calgary Counselling Centre has been a constant, trusted anchor of support in the community for almost 55 years. 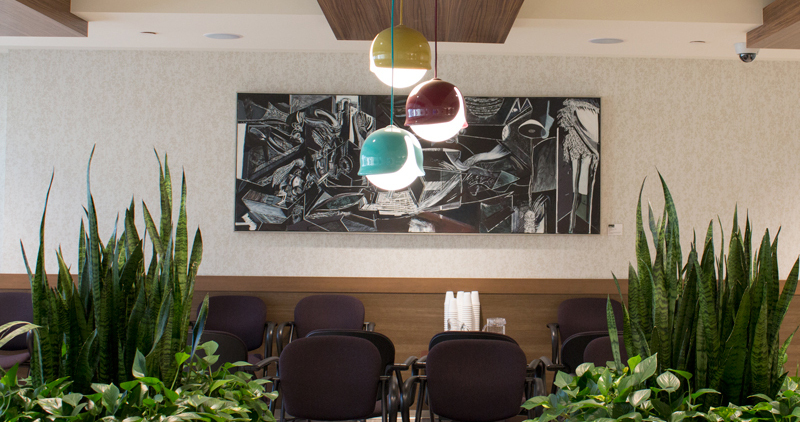 Since day one, Calgary Counselling Centre has strived to push the envelope, ensuring the highest level of service and the utmost well-being of our community. As you read the 2016 Community Report, I hope you are inspired and encouraged to learn more about how Calgary Counselling Centre continues to meet the needs of those in our community. For the past two years it has been difficult to pick up a newspaper or turn on the television without seeing or hearing headlines like these. Going into 2016, we heard that plummeting oil prices and mass layoffs were expected to continue throughout the year. So it was not a surprise when our community turned to Calgary Counselling Centre for support more than ever before. Last year, we provided 31,950 counselling sessions to those in need, and we don’t foresee that number slowing down in 2017. We continue to see more clients who are unemployed and looking for work or simply adapting to economic uncertainty. Last year, 60% of our clients were individuals, couples or families that needed subsidies to help pay their counselling fees. Month-over-month we continued to see increased demand for our services. Our move in September of 2016 to the Kahanoff Centre for Charitable Activities allows us to continue to expand our mental health service offering by offering more counselling sessions per year in specialized and improved spaces for group programs and our children’s play therapy room. Now, we shift our focus back on the fundamentals that set us apart. By providing barrier-free access to services and continuing our commitment to operating without a waitlist, we endeavor to boldly transform counselling to inspire growth and change. 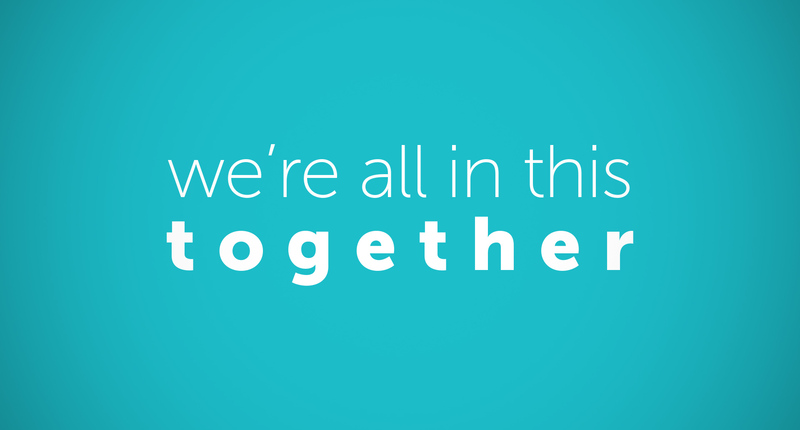 As we look forward, we will continue to simply be there for our friends, neighbours and colleagues. B.A. Zach & Associates Inc.
Albertans are going through hard times. Whether they work in oil and gas or not, many have been affected. Since the price of oil dropped in November of 2014, Calgary Counselling Centre has seen a 56 per cent increase in the number of people requesting mental health and counselling services. At Calgary Counselling Centre, we know from experience that the economy has peaks and valleys and that economic downturns can have an exponential impact. It may start with job loss, but it can lead to depression, anxiety, relationship issues, family violence, addictions and more. This was the case with Graham. Having struggled with depression his whole life, when he was let go from his dream job he found his depression, anxiety, drug and alcohol use worsened. Graham is not alone. While our Feedback Informed Treatment (FIT) allows us to measure the emotional state of our clients at the beginning and end of every session to ensure the highest results, it has also been incredibly useful in tracking the correlation between the distress levels of our clients with the state of the economy. In 2016, the average first session score of a Calgary Counselling Centre client was 74.16, up from 72 in 2015. A score of 63 or higher indicates that a client is experiencing some level of distress. Our numbers also showed that the average level of distress for those who were unemployed but looking for work was 81. The average distress level for those employed full-time was 73. Last year, the number of Calgary Counselling Centre clients who reported being unemployed but looking for work increased from 13.3 percent in 2015, to 16 percent in 2016. The number of clients who reported working full-time decreased from 43.3 percent in 2014, to 41 percent in 2016. What this tells us is that the residents of Calgary and area, people of all ages and life stages, are feeling the impacts of this economic environment and we must continue to provide barrier-free access to help them with their mental health and well-being. Named for the generosity of W. Brett Wilson and his family, the Wilson Centre for Domestic Abuse Studies at Calgary Counselling Centre is a vital resource for Calgary and area residents affected by domestic abuse. As the premier counselling, training and research centre in North America, the Wilson Centre for Domestic Abuse Studies continues to create outstanding results due to its innovative approach. On average, 80% of men who start a program through the Wilson Centre complete it - results unseen anywhere else in North America where average completion rates fall between 40% and 60%. 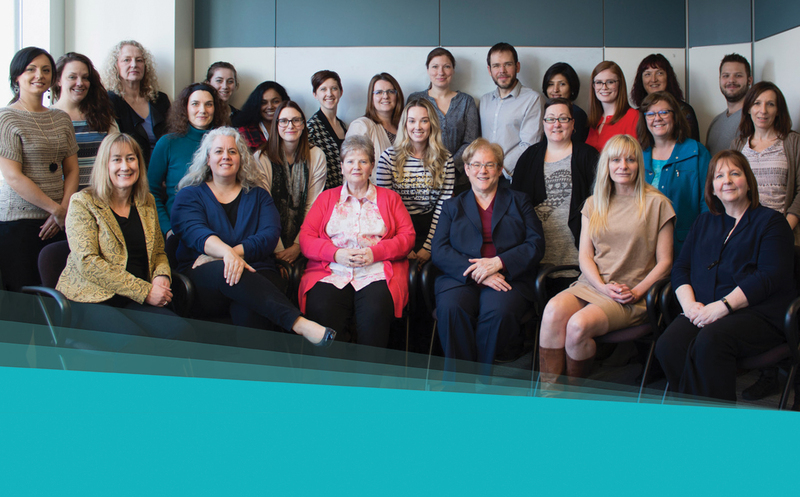 The Centre also continues to have the largest and most comprehensive domestic abuse research database in Canada, a national resource for other professionals working in this area that is often called upon by other researchers. The youth of Alberta facing emotional struggles come from all walks of life and face difficult situations such as school pressures, work-related stress, bullying, eating disorders, depression, family and relationship conflicts, or grieving the loss of a loved one. They may feel overwhelmed by day-to-day life struggles and are more easily set back by life's challenges. 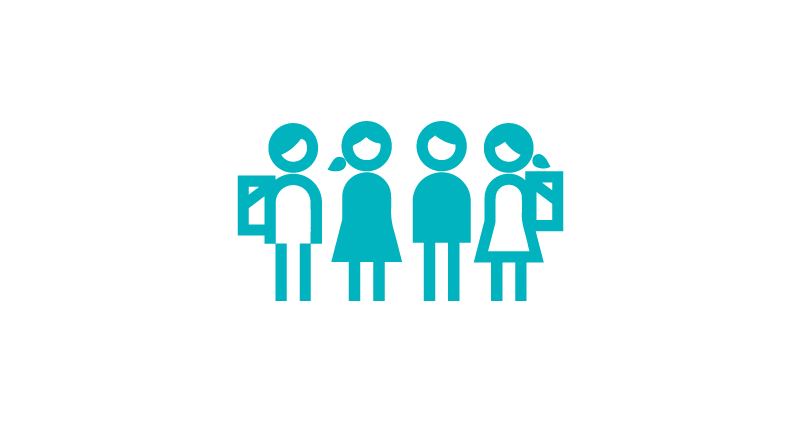 Youth may be referred to a group program after they finish their individual counselling in order to ensure they are getting optimal treatment suited for their specific emotional issues. Responsible Choices for Children and Children of Divorce are the two children and youth programs offered by Calgary Counselling Centre. 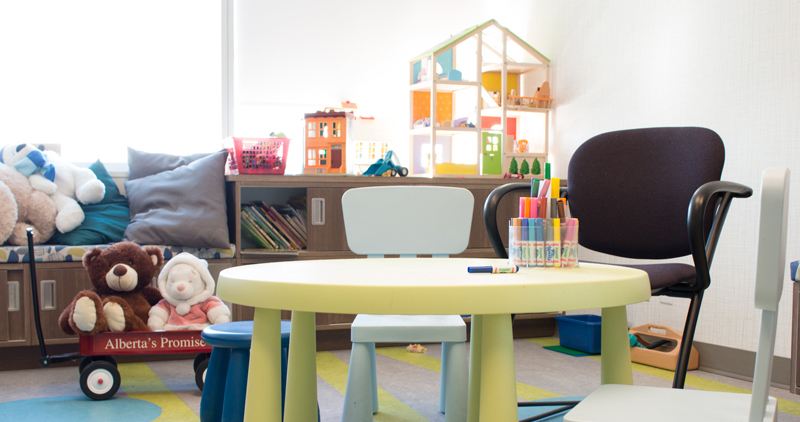 These two group programs continue to be the only programs in Calgary that offer a specialized service directed to both children and their parents and caregivers. Our group programs identify and treat a number of issues the youth of southern Alberta may be facing including: depression/anxiety, self-esteem, bullying, domestic conflict, eating disorders, and more. 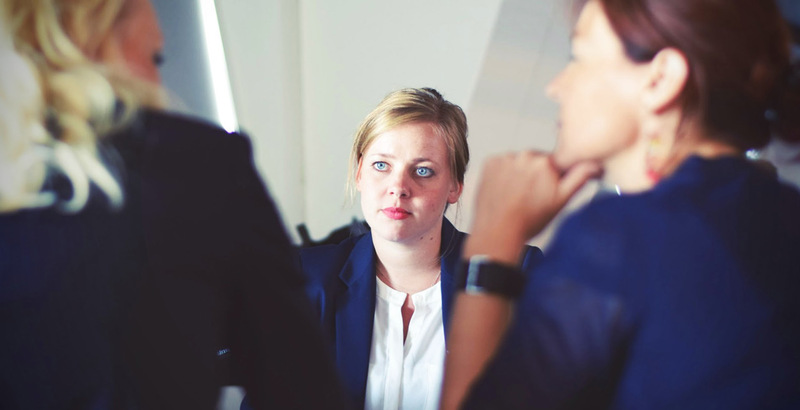 Those who embark on group counselling as well as individual counselling feel like they are not alone in their problems and often receive better results. We also continue to be one of the leading organizations in Calgary that incorporate play therapy into our counselling program. Our Defy Depression campaign continues to bring awareness to the fact that depression is highly treatable through initiatives such as National Depression Screening Day. In 2016, 10,194 people took the screening test, up 7 per cent from 2015. Results indicated that 44 per cent were recommended for further evaluation of depressive symptoms while 18 percent were strongly recommended for further evaluation. Last year, 69 couples participated in our Marriage Preparation Workshops. The monthly workshop engaged couples in any stage in their relationships to establish important skills in the areas of communications, conflict resolution and more. During good times or bad, no matter what life may hold, Calgary Counselling Centre always has and always will be a constant, highly effective and affordable, counselling service delivering the best results for our clients. Our move to the Kahanoff Centre in September, positions us to better meet the increased demand in our community. 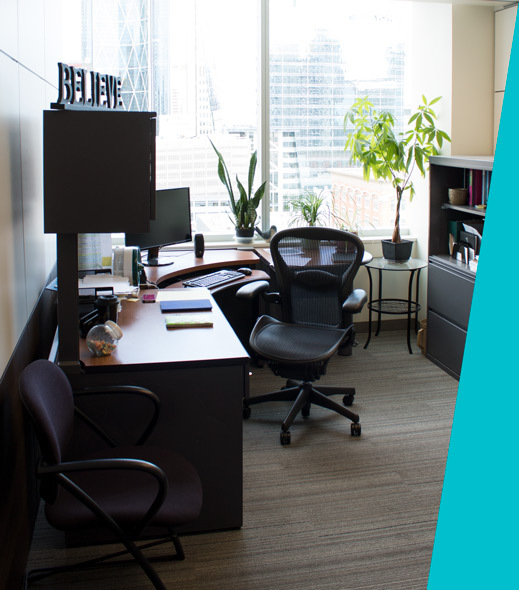 Calgary Counselling Centre is committed to providing barrier-free access to services and in this difficult economic environment, we were pleased to be able to continue to maintain our service costs on a sliding-fee scale and with no waitlist. At Calgary Counselling Centre, we have been educating students for 55 years. We are a recognized national leader for professional training in the fields of psychology, social work, and marriage and family therapy. Through the Haskayne Learning Centre – we teach the next generation of frontline service providers at the largest non-university based training facility of its kind in Western Canada. Since our inception in 1962, we have grown from one student to approximately 90 psychology and social work graduates and post graduate students annually. Our reputation as a Centre of Excellence leads to an increase in applications annually, with a 10% increase last year, and more applications than available space. During their time at Calgary Counselling Centre, students receive invaluable hands-on experience and participate in weekly integrated theory seminars. Students also benefit from observation labs featured in our new space that allow for live supervision, ensuring students are trained in best practices. In 2016, we began developing the online Trauma Informed Care training modules to provide training to those working in the field of trauma across the province. We continue to develop this training to support mental health professionals and first responders in rural and remote communities gain access to leading best practices in the sector. A recognition of individual uniqueness and an honouring of how life experiences, personal strengths, professional training and work experience influences educational needs and approach to learning. Year after year, the resiliency of our community continues to be an inspiration. No matter the scenario, whether it is Mother Nature, as seen with the impact of the floods, or the downturn in the economy, our history and experience allow us to continue to swiftly respond when Calgary and area residents need it most. In 2013 when the floods devastated southern Alberta, we responded to the needs of the community by expanding services in Calgary and opening the High River Counselling Centre (HRCC), an expansion of Calgary Counselling Centre. Needs emerge and evolve after a natural disaster like the floods. In March of 2016, after three years and more than 8, 299 counselling sessions across both sites, High River Counselling Centre closed as planned after the need for trauma and flood related services diminished. Overall, as 46 per cent of clients improved or recovered, exceeding the published benchmarks of 35 per cent. A further 47 per cent of those who received service achieved stability in their levels of distress from the beginning to the end of service. 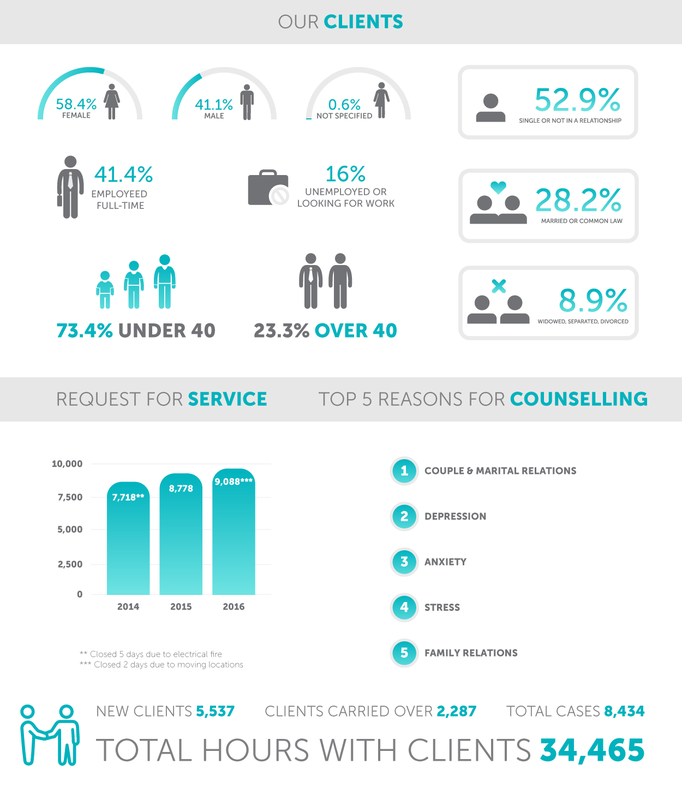 A full 93 per cent of clients benefitted from service. Together, Calgary Counselling Centre and High River Counselling Centre supported over 1,921 individuals. We continue to provide any needed counselling services to the residents of High River and Southern Alberta from our Calgary office. 2016 proved to be an important year for us to continue to be active in our community raising awareness for our services ensuring people know where to get help, working to reduce the stigma around mental health and continuing to defy depression. We continue to work closely with a large network of agencies and community partners to share information and best practices, align services and ensure that we are helping and supporting the greatest possible number of individuals and families. We have over 33 ongoing partnerships with community agencies and organizations committed to mental health. These partnerships allow us to adapt to the changing needs of our community and give back to the community where we call home. 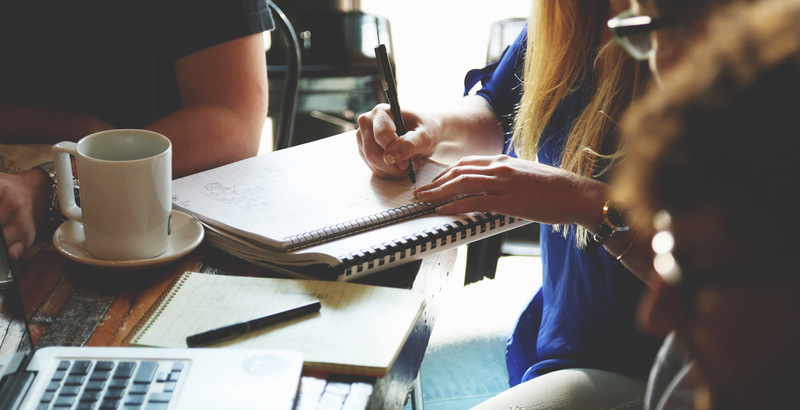 "Counselling is an art that can’t be taught with just facts and figures"
Ongoing and leading-edge research is integral to the work that we do at Calgary Counselling Centre. The integration of Feedback Informed Treatment (FIT) and our investment in Practice Based Research is what continues to set us apart in the sector. The use of FIT allows us to assist clients in obtaining optimal results, develop more effective programs, and improve counsellor practice - ultimately supporting more individuals, couples and families. As we continued to see the impact the economic downturn was having on our clients and our community, we focused our research on looking at the relationship between recession and unemployment and mental health distress. In 2016, we began the Calgary Recession Project study. The data from this study tells us that that the level of depression, anxiety and mental health distress in clients has been steadily and significantly increasing as unemployment rates in Calgary have increased. Our research and counselling teams have worked to understand these findings and provide direction on how we can adapt to the needs of our community. In 2016 we were pleased to welcome Dr. Scott Miller and Dr. Bruce Wampold, two internationally recognized researchers, as Scholars in Residence to present to students, employees and external stakeholders. We collaborate with other researchers to publish our findings and presented at several international research conferences. We continue our research with more than 10 active research projects. Our ongoing, high quality research data collection helps us monitor our services and continue to make a difference for our clients. "Our accurate, systematically collected client outcome data allow us to incorporate results into treatment and program development on a ‘real-time’ basis"
Calgary Counselling Centre’s goal is to enable more Albertans to experience improved well-being to live in and create stronger and healthier communities. A critical aspect in achieving this goal is to ensure access to leading mental health services. 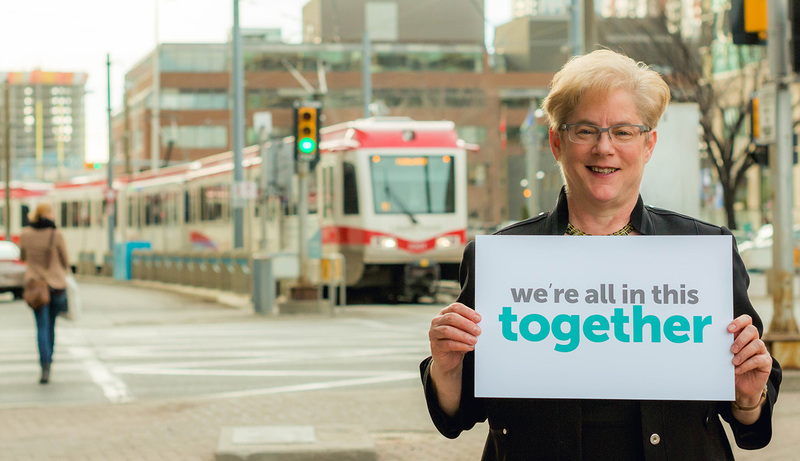 To that end, we are committed to being accessible so that Calgary and area residents who need support can access it in a timely manner. We are constantly working to improve the well-being of individuals, families, couples and children. We have worked to strengthen our communities and transform the lives of Calgarians, and we have accomplished this all without a waitlist. The growing demand for our services, and the fact that we were out of space for counselling, led us to explore a new space that could accommodate the higher demand and ensure we could continue our commitment to operating without a waitlist. In September of 2016, we officially moved to the Kahanoff Centre for Charitable activities. Our new space allows us to provide the best experience possible to our clients while accommodating more counselling sessions per year. Our new offices are outfitted with the best of counselling technology to assist us in the training of practitioners, students and post grads. 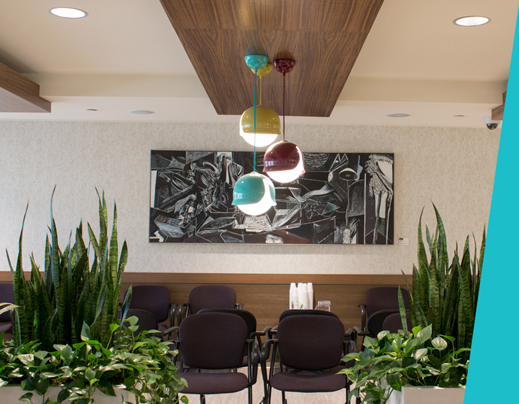 •	A welcome and spacious client waiting room, which includes a small, private waiting area for those experiencing severe distress. •	A 25% increase in counselling service capacity to meet the growing demand for counselling. •	Several large group rooms to provide group counselling sessions to up to 14 individuals at a time. 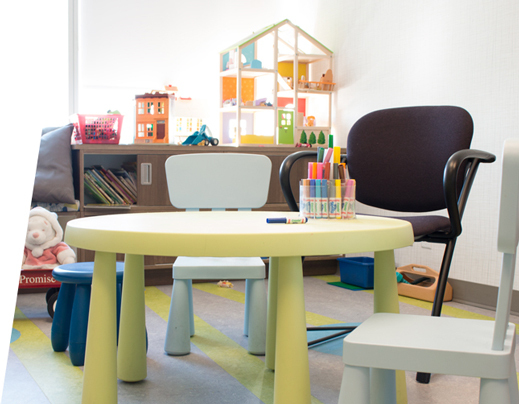 •	A specialized play therapy space that provides a warm, safe and therapeutic environment for children that includes special toys, games and a place to play. •	State-of-the-art counselling and business technology to support our counselling services. •	Expansion of our quick-response or urgent appointments to accommodate and assist those seeking immediate support. For more information, or to receive a copy of the 2016 audited financial statement, please contact Calgary Counselling Centre. The concept is simple, but its impact is huge. 100 women gather and each bring $100. Their money is pooled together and $10,000 is donated to a charity of choice. It’s a concept that began in Michigan in 2006, but has since expanded globally. 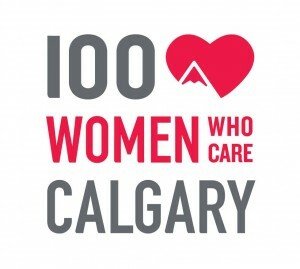 In December of 2016, Calgary Counselling Centre was the recipient of just over $22,000 from the 100 Women Who Care Calgary chapter. 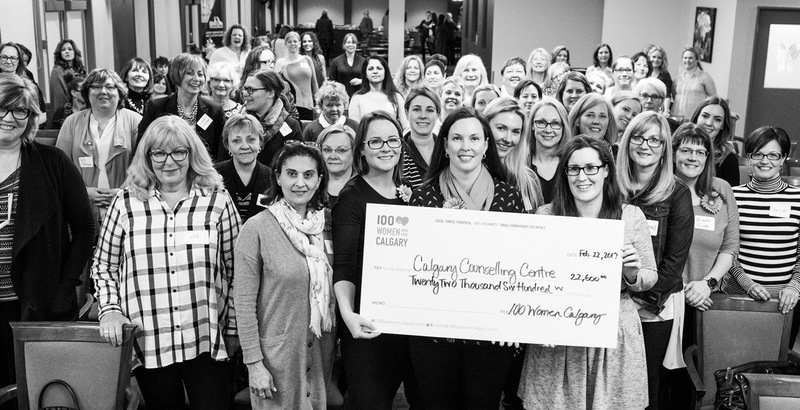 Some members generously donated more than $100 to Calgary Counselling Centre. In each chapter, there is no board of governors, no treasurer and no membership or overhead fees. All of the money simply goes to a deserving cause. Three charities are selected randomly out of a hat. The member who nominated the selected charity then has five minutes to speak about it. After each of the three members has made their pitch, the group votes and the money is sent directly to the selected organization. 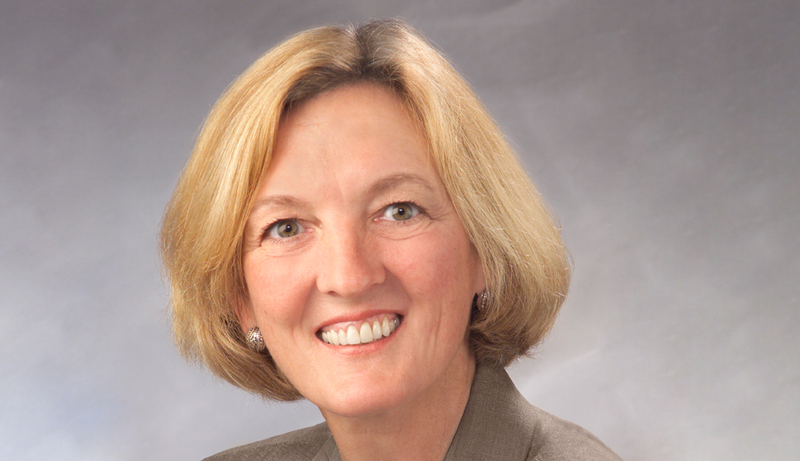 Calgary chapter member Victoria was the reason that Calgary Counselling Centre was selected. After detailing her experience with post-partum depression and the impact counselling had on her life, she made an impact with many in the audience who related to her experience. But it was the added benefit of Calgary Counselling Centre’s current capital campaign that swayed them. Victoria’s pitch encouraged audience members to donate their money to help with the expansion of mental health services at the Centre. A generous anonymous donor has committed to help all gifts donated to support the expansion of mental health services go even further. 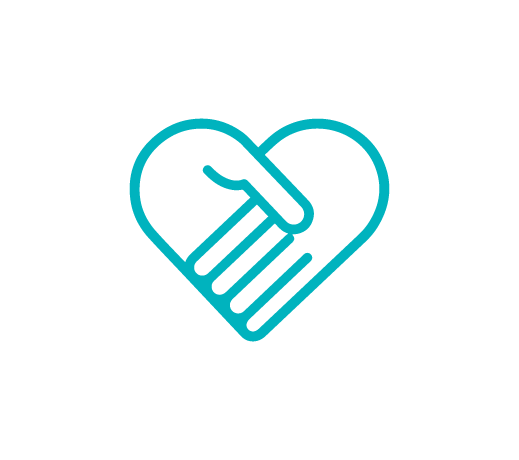 For every $2 that is donated to our capital campaign, an anonymous donor will give an additional $1 to Calgary Counselling Centre. Which means $100 becomes $150, $200 becomes $300, $1,000 becomes $1,500 and so on. 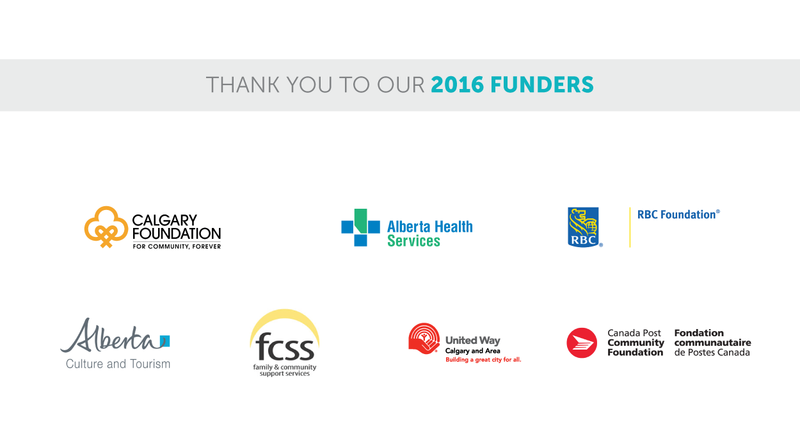 We want to thank 100 Women Who Care Calgary and Victoria for their investment in the future of mental health services in our community. Subscibe to our newsletter to learn about the great things we're doing. © 2017 - Calgary Counselling Centre. All rights reserved.